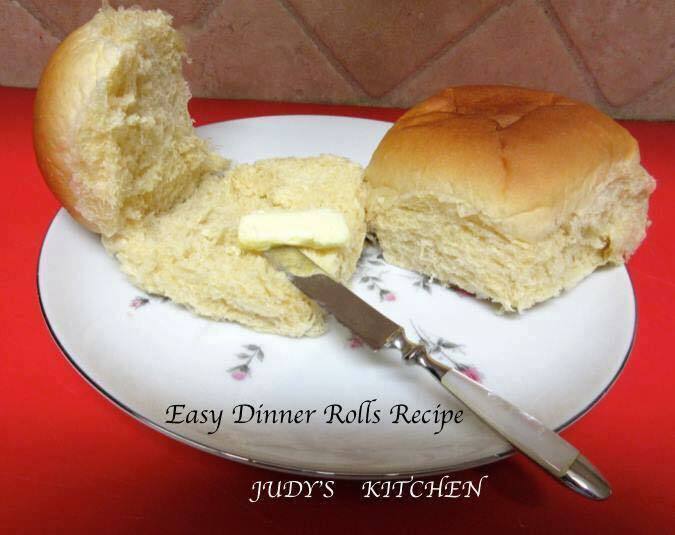 Fresh homemade rolls just in time for dinner! Combine water and yeast in a large bowl and let stand for 5 minutes. Stir in butter, sugar, eggs and salt, then add flour, 1 cup at a time and beat in. Flour a surface and turn the dough out onto it and divide into 24 equal pieces. Roll each piece into a smooth round ball and place in rows in prepared pan. Cover and let rise for 1 hour; until doubled. Heat oven to 375F and bake until golden brown (about 17 minutes).